December has a way of creeping up on you. It seems just a few weeks since summer was here and Abbas was making hay in the Alps. 2008 has been a year of fear and hope. Mighty financial institutions have collapsed overnight and America has elected its first African-American President. Apparently, Reinhold Niebuhr and Nietzsche are among Barack Obama’s favorite authors, although I can’t imagine he has had much time for reading this year. Which is a pity as there have been some great non-fiction titles published in 2008. For me one of the most memorable was Proust and the Squid: The Story and Science of the Reading Brain by Maryanne Wolf (published in the UK this year by Icon). It’s an enthralling celebration of the science and "complex beauty of the reading process". In evolutionary terms, reading is a recently acquired cultural invention that uses existing brain structures for a radically new skill. Unlike vision or speech, there is no direct genetic programme passing reading on to future generations. It is an unnatural process that has to be learnt by each individual. As director of the Center for Reading and Language Research at Tufts University in Boston, Wolf works with readers of all ages, but particularly those with dyslexia, a condition that proves "our brains were never wired to read". Wolf therefore has much of practical value to say about why some people have difficulty reading and how to overcome this. Reading stories to pre-school children is crucial, she says, as it encourages the formation of circuits in the brain, as well as imparting essential information about fighting dragons and marrying princes. Wolf's story of the development of the reading brain covers many fields, from linguistics, archaeology and education to history, literature and neuroscience. In particular, she highlights the brain's astonishing plasticity, its "protean capacity" to reorganise itself to learn new skills. According to Wolf, we are all born with the "capacity to change what is given to us by nature.” Right from the cradle we are “genetically poised for breakthroughs”. She memorably paraphrases Darwin: “biologically and intellectually, reading allows the species to go ‘beyond the information given’ to create endless thoughts most beautiful and wonderful”. For thousands of years, the process of engaging with texts has enriched us, both existentially and - as Wolf's remarkable book shows - biologically. Different languages put their own unique stamp on the brain, creating distinctive brain networks. Reading Chinese requires a different set of neuronal connections from those needed to read English. As the writer Joseph Epstein has said, "we are what we read". Doctors treating a bilingual person who developed alexia (inability to read) after a stroke found astonishing evidence of this. Although he could no longer read English, the patient was still able to read Chinese. 2008 was unquestionably China’s year. From terrible earthquakes to space walks and, of course, the Olympics, China was rarely out of the headlines. Out of this year’s red tide of titles about this endlessly fascinating country, I found two particularly memorable: China: A-Z, by Kai Strittmatter (Haus) and China: Empire of Living Symbols, by Cecilia Lindqvist (Da Capo). 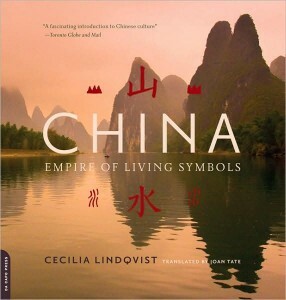 Both use language as a springboard to explore Chinese culture and history. For Strittmatter, a German correspondent in Beijing for 10 years, China is "a land of contradictions". (This reminds me of Bohr’s delightful comment: “How wonderful that we have met with a paradox. Now we have some hope of making progress.”) After spending two decades in a Maoist labour camp, author Zhang Xianliang says: “it’s because China is a mystery, that it's so dear to me”. He is now a member of the Communist party and a successful businessman. Bend, adapt and move on seems to be the lesson here. Perhaps the Chinese have learnt this philosophy from one of their most beautiful plants – bamboo. There are, of course, many Chinas - it is a vast continent unified by a common language, standardised as far back as 221 BC. In Strittmatter’s "pocket dictionary" of Chinese culture, it is "the magic of the characters themselves" that tells the story of this paradoxical land. An entry in his book about the family (jia) highlights the importance of the Confucian virtue of service. For the Chinese that means "sometimes serving the state, generally the family, and always the parents". In a discussion of chopsticks (kuai zi) he notes drily, and entirely accurately, that they are primarily an "instrument for measuring a foreigner's ability to integrate". From gan bei (cheers) to why xiao zi (petty bourgeois) was once an insult but is now cool (ku), this is a delightfully witty and insightful guide to today's China. Lindqvist shows how the oldest characters are representational ("man" depicts a person in profile and dates back to the earliest oracle bones) and these remain part of today's language. In this beautifully written and illustrated book, language and images come together to tell a common story about the rootedness of the modern script in the ancient signs. Drawing on her long experience of the country - its sights, sounds and tastes (including a few recipes, such as pork with bamboo, onions and dried mushrooms) - Lindqvist creates an evocative and compelling celebration of language as a carrier of culture. Another book that memorably explored our love affair with language this year was Off the Page: Writers Talk About Beginnings, Endings and Everything in Between, edited by Carole Burns (Norton) As a non-fiction writer, I have immense admiration for what novelists do with language. It seems to me fiction is a kind of alchemy, a mix of science and magic, fact and poetry. Attempts to explain this process often fall flat. But not Burns’ book. She interviews 43 authors about the writing life, from the nuts and bolts of fiction (how to breathe life into a character) to more general comments on inspiration and influences. AS Byatt starts her novels with a "block of colour" ("Babel Tower is black and red, because of blood and destruction"). For Paul Auster the story comes first: "I find the book in the process of writing it". All agree on one thing: writing and rewriting is never easy. Joyce Carol Oates finds the first draft the hardest: it's "like hacking one's way through a thick jungle with something like a butter knife". Richard Bausch recalls how he wrote an entire 800-page novel before deciding it was really a short story. The process of cutting it down to size was, he says, like passing a kidney stone. Ouch. “Everyone goes a little mad as a writer", says Alison Smith, and most interviewees agree. Even Martin Amis admits to the occasional "crazy-scientist cackle" while writing. I sympathise. After finishing my last book (it took over three years), I just wanted to lie in a dark room and listen to soothing music. But I guess all writers are suckers for punishment – I’ve just started researching a new book: a cultural history of cities. It’s a fascinating time to be writing about urban history – this year we officially became an urban species with more people living in cities than in rural areas. There are of course many wonderful books about urban history. John Reader’s excellent Cities (2004) for one, and Peter Hall’s masterly Cities in Civilization (1998) which focuses on cities as centres of innovation and creativity. Interestingly, Hall only mentions China a few times in 1169 pages – a sign, perhaps, of how fast the world is changing and the astonishing rate of urbanisation in recent years. By 2020, there will be ten cities with more than twenty million citizens, gargantuan cities such as Jakarta, Delhi, Mexico City, São Paulo, New York, and Tokyo. As it turns out, 2008 has been a vintage year for urban studies. Gail Fenske’s beautifully illustrated biography of the Woolworth Building, The Skyscraper and the City (Chicago), is one of my favourites. It is a superb study of the New York skyscraper that became emblematic of the world’s first signature skyline. Cass Gilbert’s inspiring cathedral to commerce opened in 1913. This Gothic spire offered New Yorkers passing by on the sidewalk “an experience of sheer vertical ascent unrivalled by the taller but stepped-back skyscrapers of the 1920s”. Fenske tells the fascinating story of this building’s inspiration, design, construction and its place in the city that has come to define the modern metropolis. The pinnacled tower no longer dominates New York’s vertiginous skyline but it remains a monument to the soaring ambition of its owner and architect, as well as to human aspiration and the desire to conquer vertical space. Once it was London that broke all urban records, from size to pollution. 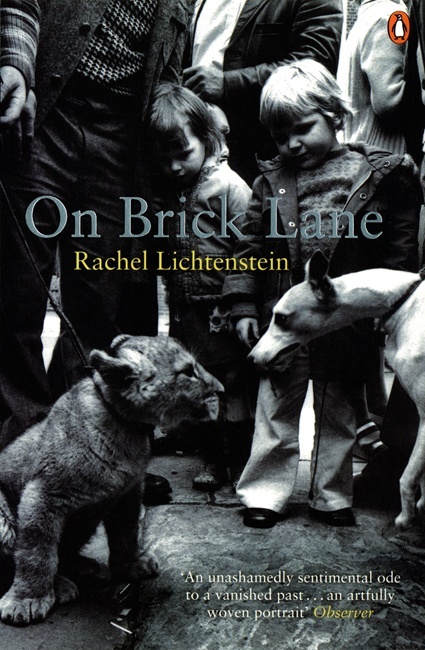 On Brick Lane by Rachel Lichtenstein (out in paperback from Penguin in the UK) is a wonderfully evocative and personal portrait of a part of the East End of London that has been home to successive waves of immigrants. Chicksand Street, off Brick Lane, is where Bram Stoker’s Dracula slept in a coffin of Transylvanian earth. In the seventeenth century the Huguenots arrived, later there were Jews from Eastern Europe (including Lichtenstein’s own grandparents) and now it is home to a thriving Bangladeshi community. 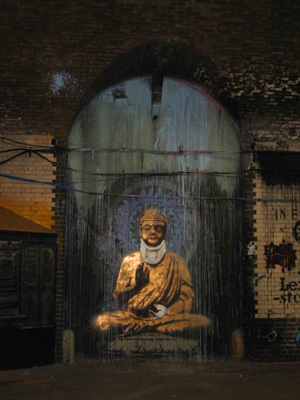 An artist, Lichtenstein has lived and worked in Brick Lane since the 1990s. She evocatively weaves together her own experiences with those of her family and interviews with former and current residents, ranging from a Bangladeshi schoolgirl ("Brick Lane is like a part of Bangladesh"), to the footloose London author Iain Sinclair, who used to work in the 300-year-old Truman brewery, and the poet Stephen Watts, who tells her: "There is a tidal wave of sound and memory rushing down that street." The “sensory encounter” with cities is the subject of Dell Upton’s Another City: Urban Life and Urban Spaces in the New American Republic, published this year by Yale. The stench and cacophony of early nineteenth-century American cities must have been terrible, judging from Upton’s impressive research. Using travel journals, diaries, and letters he shows how the “insistent and importunate sights, sounds and smells surpassed anything previously known in the new nation”. To read his book is to be immersed in the sensations of the city. Of course, building Utopia is easier said than done, as Robert H. Kargon and Arthur P. Molella show in Invented Edens: Techno-Cities of the Twentieth Century (MIT). Modernist reformers embraced technological solutions to solve nineteenth-century urban problems such as congestion, pollution and disease. From Ebenezer Howard’s seminal notion of the “Garden City” in the 1890s, to the new urbanist Celebration in Florida in the 1990s, Kargon and Molella argue that the techno-city was a bold social experiment, but one that in the end was doomed to failure. For despite using the latest technology, at the heart of these ideal cities was a nostalgic yearning for small-town life. What the authors term “techno-nostalgia” created a fatal fault line running through the techno-city: “the machine in the garden is a seductive dream, but a problematic reality”. Kargon and Molella also discuss Oak Ridge in East Tennessee, a once secret city created as part of the Manhattan Project. The plan for this techno-city was inspired by the same nostalgic yearning for an idealized garden city, with tree-lined streets and “organic clusters” of houses. There is, however, a shocking irony about the fact that the people who lived in this utopian city were building a superweapon designed for one purpose – to annihilate cities. The nuclear age is the subject of Nathan Hodge and Sharon Weinberger’s entertaining and informative A Nuclear Family Vacation : Travels in the World of Atomic Weaponry (Bloomsbury). Where are you going for your holidays next year? How about the Semipalatinsk Test Site in the former Soviet republic of Kazakhstan? It is, apparently, a bona fide tourist destination. But remember to pack your Geiger counter and iodine tablets. As Hodge and Weinberger discover, the site is still highly radioactive. Most of the cold war scientists who lived in the nearby secret nuclear city of Kurchatov have now returned to Russia, but some technicians remain. Asked about the measures they took to protect themselves from radioactivity, one replies dryly: "Before every test, we drank grain alcohol." Hodge and Weinberger are a husband-and-wife team of defense reporters turned nuclear tourists. As the title suggests, the authors did indeed visit many of the places during their holidays: everywhere from Iran's Esfahan Uranium Conversion Facility, which supplies material to the top-secret uranium enrichment facility at Natanz, to the Nevada Test Site (a "sandbox for nuclear weapons designers"), and the Cheyenne Mountain bunker ("the ultimate cold war retreat"). In Los Alamos, where the first atomic bombs were designed, the authors noticed that the scientists sometimes had pictures of their favorite nuclear tests hanging above their desks and could describe, "in loving detail, the very personal reasons for their choices". One scientist even named his son after the 1952 Ivy Mike H-bomb test. But Los Alamos hasn't designed a new nuke since the 1980s, and has become little more than a "repair shop for nuclear weapons". The scientists are not happy: "the mood at the lab hovered somewhere between depression and despair". Revealingly, although Hodge and Weinberger interviewed many politicians and scientists, they failed to find anyone who could say what the purpose of the nuclear arsenal is now. The nuclear weapons industry, costing billions of dollars a year, is an enterprise that has "lost its way". Their important conclusion is that it is time for the US to think the unthinkable and "explore practical options for eliminating the nuclear arsenal". No doubt that’s a policy Noam Chomsky would support. In Interventions, which appeared in the UK in paperback this year, he notes that the US spends as much on its military as the rest of the world combined. Another shocking fact: apparently the essays in this collection by one of today’s leading public intellectuals have been published in newspapers all around the world, but were largely ignored in the US. So many fascinating titles this year--thanks for the great recommendations. I liked your apt description of the writing process (which could also apply to creative non-fiction): "fiction is a kind of alchemy, a mix of science and magic, fact and poetry." Interesting what you wrote about Chomsky--he's well-known here in academic circles and on the left-but is almost never mentioned by the mainstream media. I bought a copy of Another City (couldn't resist the Philadelphia connections!) and am enjoying it.